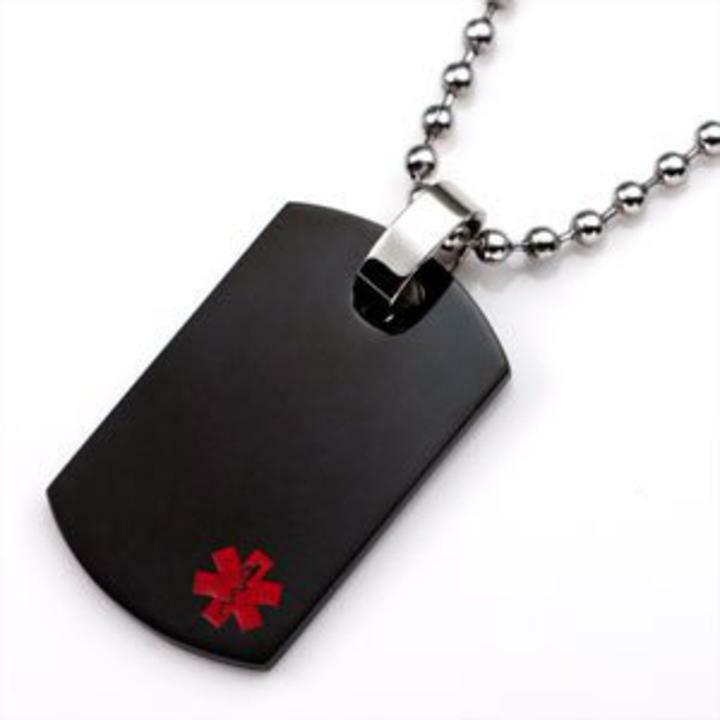 Our black plated stainless steel medical id alert dog tag pendant can be engraved with up to 5 lines on both front and 6 on the back. Our dog tag medical alert pendant measures 1 1/4 x 3/4", has the red medical id alert symbol and comes with a 30 inch stainless steel bead chain which you can easily cut to your size needed. Engraving is free of charge.